Science has made the unknown world around us easy to understand. We have been able to figure out how the atmosphere works, how gravity works, how the world around us works. But there is still a part of the our world that has been a complete mystery, the world of atoms. Atoms are so small that we have not been able to see them, or understand their nature. But now, there might be a way. Right outside of New York City, there is a web of cords that make up what could be a revolutionary computer. This computer would be able to run calculations that goes far beyond any computer in existence. This computer might be able to figure out the behavior all the way down to the atomic level, or be able to crack impossible codes. 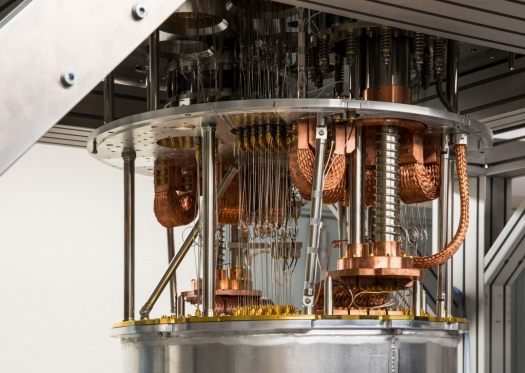 The companies that are leading the way in trying to build this quantum computers are Google, Intel, Microsoft and many others. But the company that has the most experience is IBM. IBM was started 50 years ago, and began by laying down the foundations for the computer revolution. This quantum machine is still being questioned about how useful it would be. Even a perfectly functioning computer would run slower than even classical machines. It is going to be hard to determine if this computer could have a practical use. According to the main researchers, this machine is still several years away from coming out. But they are holding out hope that their dreams of a useful quantum computer will come true.